To save time and money for your supply chain in choosing the right manufacturer, you need to take at least five precautions in your risk management. It’s a painstaking process. What works for other companies, might not work for yours. You’ll have to thoroughly research your opportunities and threats, ask the right questions, and delineate your expectations to get the right manufacturer. Taking shortcuts will only cost you valuable resources in time, money and business reputation. A blue-sky session means taking the time to think about your needs and strategizing about your approach. Consider all angles and facets. Put your objectives in writing. Your objectives need to include your project scale, budget forecasts, preferences for materials, legal issues and production timelines. The Internet has informative manufacturing Web sites, such as Alibaba and ThomasNet. But don’t just rely on your Internet research. Chat with trusted associates, advisors, a mentor, and vendor representatives who are very familiar with you and your situation. They might have great ideas for you. If you’re uncomfortable with your information overload from your research, seek manufacturing specialists and interview them for possible help. You’ll need to decide what’s best for your business model. You have multiple options, including whether to go abroad or outsource domestically. If you go abroad you can expect to save money but you’ll encounter language and other obstacles. Depending on your products, you might not have a choice as the U.S. has become a services economy. If you manufacture in the U.S., it will cost more but you’ll have bragging rights about manufacturing here and you’ll be able to research your options more easily. Be sure to dialogue with your state and local officials to cut the best location deal. Other choices include building and storing on your own; hiring a company to increase your automation capacity; hiring a company that will manufacture and store your product, and dropship orders in your behalf; buying products from a manufacturer or broker on a wholesale basis; or hiring a manufacturer to build product for you to store and sell. Of course, there’s risk in not being able to sell products and inventory. Identify your top manufacturing candidates then ask the right questions of them. For instance, ask about minimum orders, production-turnaround, pricing and payment terms. 5. Paper trail, paper trail…paper trail. Last but certainly not least, be sure to have clear communication with superb documentation. In this way, you’re more likely to avoid unnecessary problems. Discuss your objectives. Don’t allow any wiggle room for contract hassles. Plan for fastidious documents and drawings. You’ll have to get accurate estimates for success. 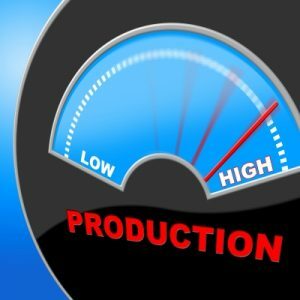 Capacity Management — 7 Tips When Production Can’t Meet Sales Demand — In planning for your production capacity, have you considered every contingency? Picture this scenario: Your demand and sales have been great. That’s the desired outcome for any business whether you’re a professional service firm, produce chocolate eggs or manufacture aerospace parts. If you think hiring professional manufacturers is expensive, try hiring amateurs.